On the other hand I guess my swapping partner won't mind finding some extra surprises. Do you, Kelly? To compensate I'll give you a look at our favorite summer recipe. 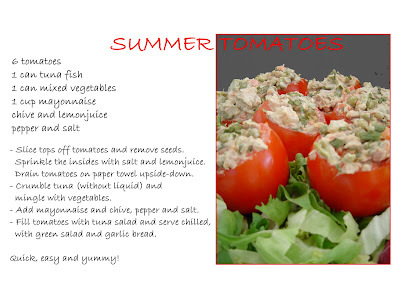 This is a simple recipe, ideal for a quick lunch or at a cosy picnic party on a lazy, hot summer day.